Sidney firefighters stand next to the other vehicle involved in the crash. 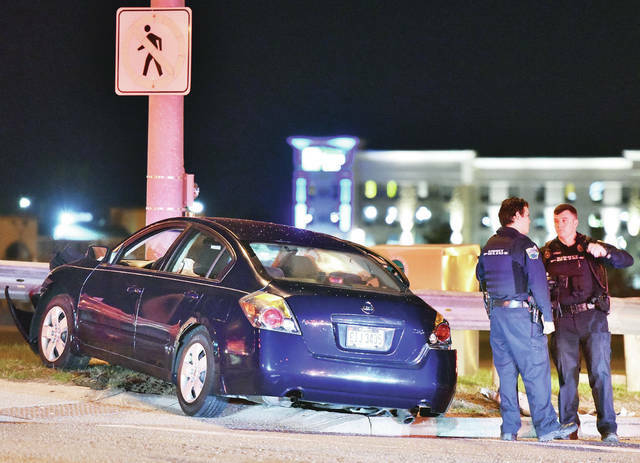 Sidney Police stand next to one of two vehicles that were involved in an accident around 8:37 p.m. Thursday, April 11 on the Michigan Street I-75 overpass. Two people were transported by to the hospital by ambulance. A third person had minor injuries. Sidney Police and Sidney firefighters responded to the scene which caused a traffic back up in the westbound lane of Michigan Street. 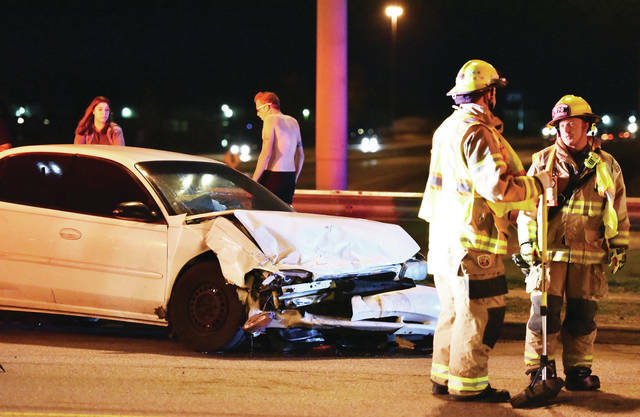 https://www.sidneydailynews.com/wp-content/uploads/sites/47/2019/04/web1_SDN041319Crash2-2.jpgSidney firefighters stand next to the other vehicle involved in the crash.